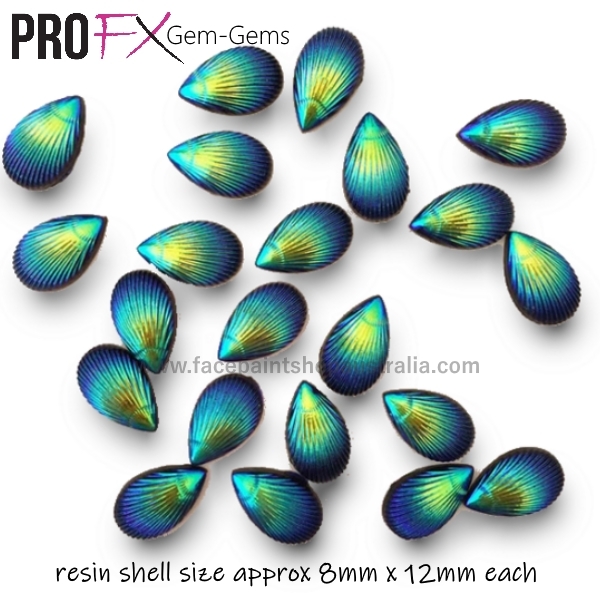 Click the button below to add the Opal-Deep Blue Shells by Pro FX Gem-Gems (approx 30 pieces) resin flatback gems 8x12mm to your wish list. Bling your face paint designs with gems! Use them solo as a FABulous accent, or mix and match to create your own fun gem clusters. Either way, gems are a fashionable addition to many face and body art designs. Note - these gems are not self-adhesive. You'll need body glue to apply. Sizes are approximate. Colours may vary slightly from the screen display.